Last Wednesday I jet-setted off to NYC for the start of New York Fashion Week, and boy am I glad I left when I did. In case you missed it, Wednesday night the city got over 10″ of snow, so Thursday morning I woke up to a winter wonderland and it sure was it cold. 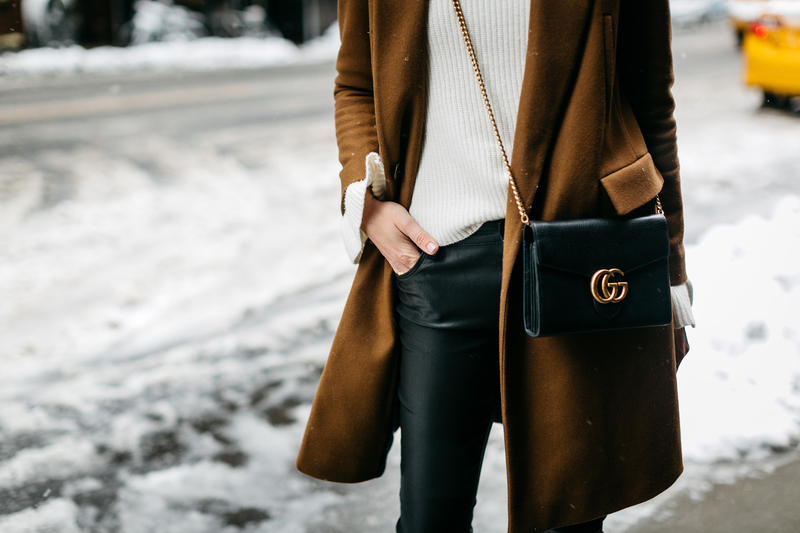 While visiting New York in the winter, you quickly realize the importance of layering. 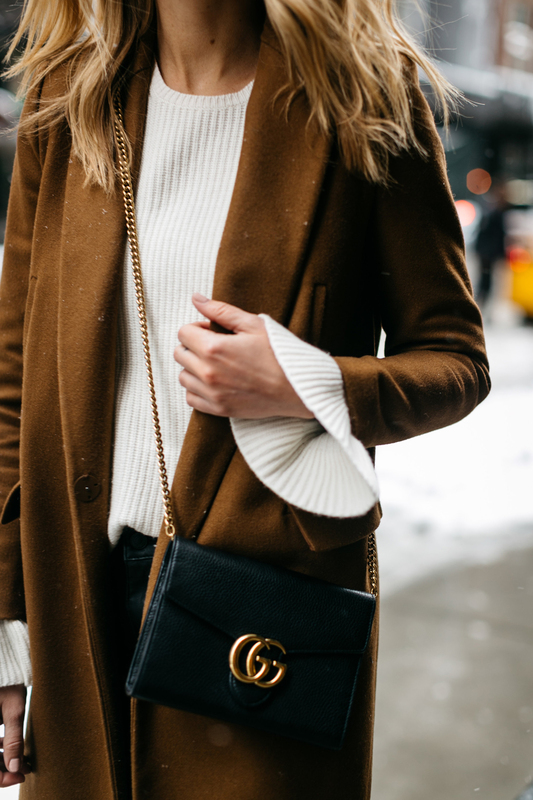 I bought this ivory ruffle sleeve sweater prior to the trip because I knew it would keep me warm. Faux leather pants, boots, and a wool coat became essential during my stay. This trip I stayed at the Viceroy Central Park. It has always been one of my favorites, even though the location is further from a majority of the events going on during the week. If you prefer to be near Central Park, I highly recommend the Viceroy. The midtown boutique hotel features The Roof, a bar with gorgeous views of the city, design details that are a marble-lovers dream, and Kingside, the signature restaurant perfect for re-charging with a glass of champagne. Between shows, presentations, mtgs, I still schedule some personal time while in the city. Whether its trying a new restaurant, exploring a new neighborhood, or meeting up with friends, there is always something wonderful to do in the city. 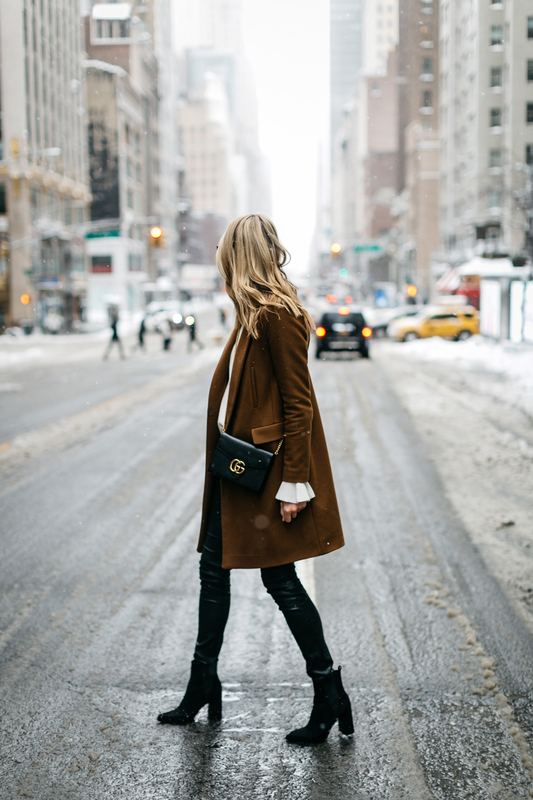 Be sure to keep checking back this week as I share more from New York Fashion Week. Classy and absolutely flawless, minimalistic outfit! Love this look! Are these Zara pants from SS2017 collection? I just found your blog and love it! Your style is always perfection. I NEED this Zara coat! Would you mind sharing the style name!? 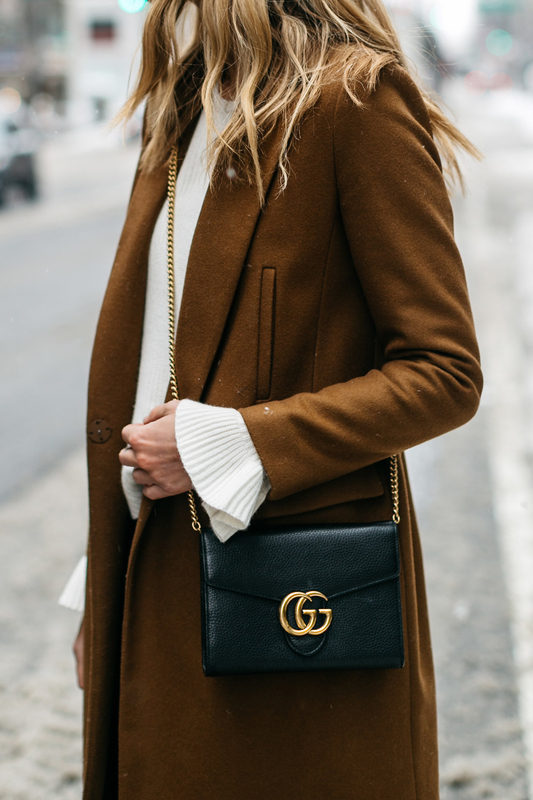 Love the slightly darker colour of the “camel” coat. 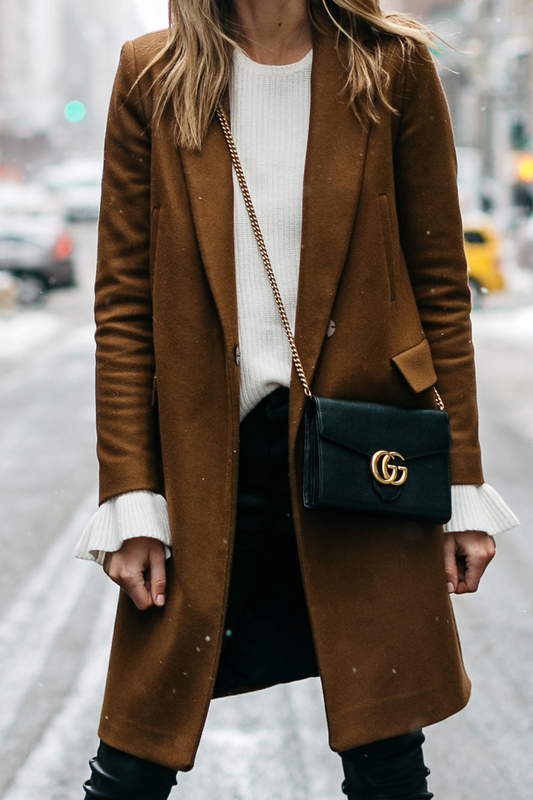 Where’s the coat from?